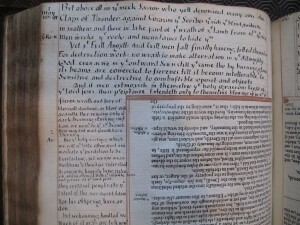 Marsh’s Library currently has a fascinating series of posts on its website. Scholars who have been visiting Fellows at Marsh’s over the last year share what they have been working on at the Dublin rare books library and disclose some of their findings in the archives. It’s a wonderful spotlight on one of Ireland’s most important scholarly resources and reveals the unique riches available there. In a few posts over the coming weeks, we’ll share links to these glimpses of scholarly detective work in Irish archives. First up, in “The Man ‘that Loved the mysterie'”, Rebecca Barr (NUI Galway) explores the copious annotations to a 1654 edition of “Mysterium Magnum”, written by “the (somewhat crazy) German mystic, Jacob Boehme”. The extended deadline for submissions to the World Shakespeare Congress 2016 is 31 October. It will take place at London and Stratford-upon-Avon from 31 July to 6 August 2016 on the theme of ‘Creating and Re-creating Shakespeare’. The year 2016 marks four hundred years of popular, artistic, and scholarly enthusiasm for Shakespeare’s life and works. We justly celebrate Shakespeare as a creator of plays and poems, characters and ideas, words and worlds. But so too, in the centuries since the playwright’s death in 1616, have scholars and thinkers, writers, artists, and performers—of all kinds and from around the globe—re-created him. In such perpetual reinventions of Shakespeare we seem to have confirmation of Ben Jonson’s words: Shakespeare was “not of an age, but for all time”. The tenth World Shakespeare Congress of the International Shakespeare Association will honour Shakespeare’s 400-year legacy and celebrate the continuing global resonance of his work. The Congress’s rich programme of plenary lectures, seminars, panels, workshops, events, and performances will take place across two successive locations: first in Stratford-upon-Avon, among the key sites of Shakespeare’s personal life; and subsequently in London, close to the site of his most famous workplace, the Globe theatre. WSC 2016 will offer unparalleled opportunities to engage with current Shakespeare performance, criticism, and pedagogy, and to connect with fellow Shakespeareans from around the world. The Congress organisers welcome proposals for papers, panels, workshops, and other events (including performances and other creative responses) relating to any aspect of Shakespeare’s work, life, and continuing legacy. Workshops and seminars should be co-hosted with at least one other delegate. The Congress is an international event, and, as such, potential co-hosts are strongly encouraged to collaborate with delegates from other countries or geographical regions. Proposers will understand that there will be more space for seminars than panels on the conference programme. Those submitting proposals should ensure that their membership of the ISA is current. In Acting Shakespeare, a free adaptation by James DeVita of Ian McKellen’s play, will be performed at the Pavilion Theatre in Dun Laoghaire, Co. Dublin, on Thursday 16 October at 8pm. Tickets are €18/16. 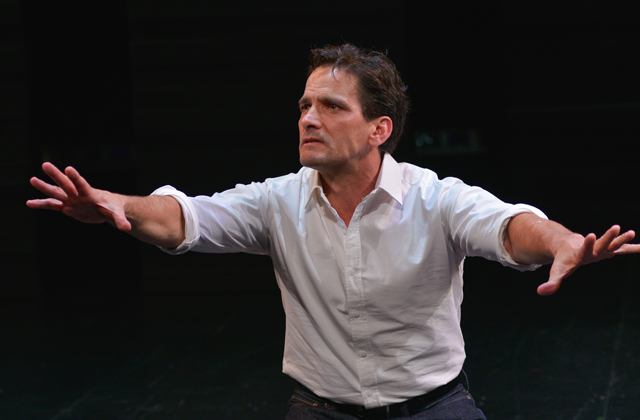 On tour from the USA and direct from Off-Broadway comes the funny, touching and uplifting story of one man’s discovery of Shakespeare, acting and language. Based on Sir Ian McKellen’s “Performing Shakespeare”, James DeVita tells his own story of a young fisherman searching for a new career. James DeVita’s fun, fervent tribute to his journey with the world’s greatest poet deftly weaves Shakespeare’s life with reminiscences of James’ own days on a Long Island fishing boat (and nights as a classical actor). The Gaiety School of Acting – The National Theatre School of Ireland – is offering your students a brand new and unique programme. 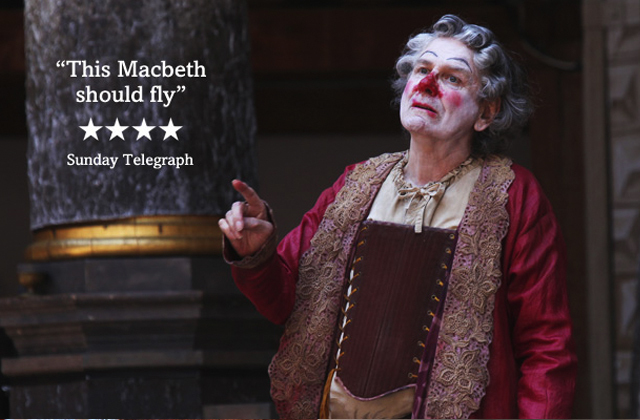 Introduce your students to the world of Shakespeare long before they enter Post Primary School Shakespeare level. 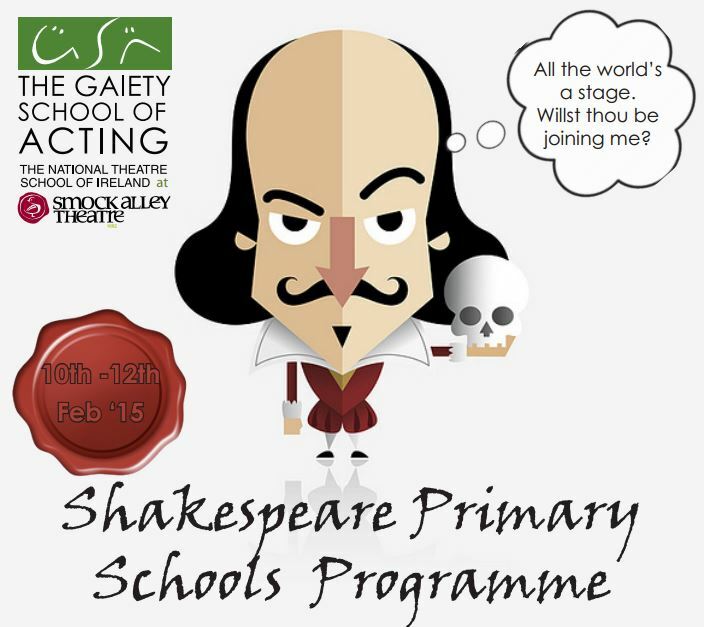 Shakespeare Primary Schools Programme is aimed at Primary students, covering a Shakespeare play, with a post performance session focusing on creating and designing your own version of the play with the opportunity to interact with the cast and crew, and learn about acting, directing, lighting and much more. 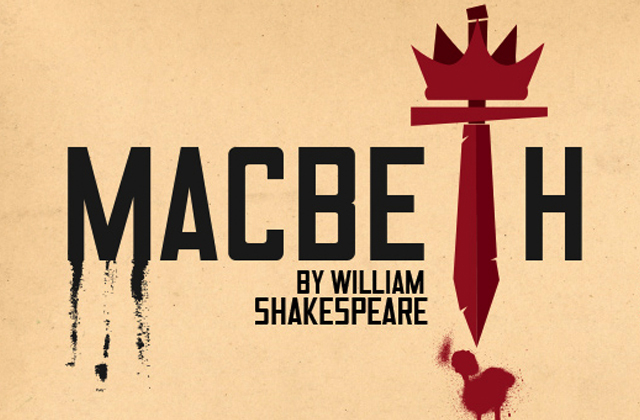 Experience an abridged version of a Shakespeare play, approx 40mins, all in Dublin’s oldest & newest theatre, Smock Alley Theatre. Explore the workings of a real theatre by visiting backstage, meeting the actors, director and tech team.This Programme endeavours to be a fun and engaging first experience of Shakespeare that students will never forget. This unique opportuinity is open to all Primary School students during the school day. The next meeting of the Irish Renaissance Seminar will be held at UCD on 22 November on the theme of “Renaissance Pedagogies”. Further details to follow soon. The Irish Renaissance Seminar meets twice a year, bringing together academics and postgraduates from across the island of Ireland working on early modern literary studies. If you’ve just started a new position or fellowship in Ireland or are a new Masters or PhD student, you are particularly welcome and it would be great to see you there. Please leave a comment or send an email if you’d like to know more. 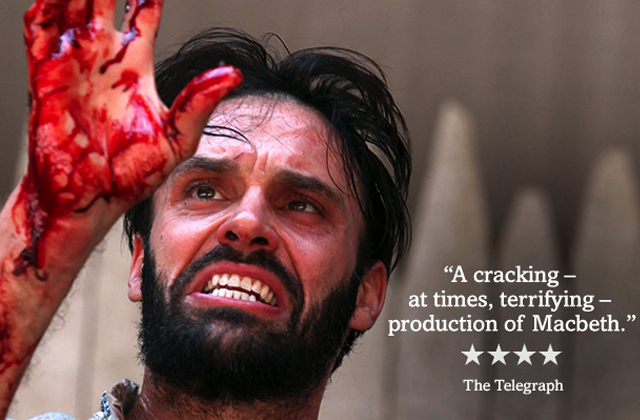 The Shakespeare’s Globe production of Macbeth will be screened at the Pavilion Theatre in Dun Laoghaire on Saturday 11 October at 8pm. Tickets are €7.50/6.50 and can be booked at the theatre website. From its mesmerising first moments to the last fulfilment of the witches’ prophecy, Shakespeare’s gripping account of the profoundest engagement with the forces of evil enthrals the imagination.